Many incidents involving police and the use of excessive force have been recently circulated throughout the media, prompting the average person to question whether certain acts were excessive or not. Police officers have a duty to enforce the law and are authorized to use reasonable force. However, a police officer may not use excessive force, whether from a baton, hands, fist, taser, gun, or police dog. You may have a claim for police brutality if they do. Police misconduct cases can be very difficult to bring which is why you need a police misconduct attorney who knows the law and the procedure in this area. Most of these cases are brought pursuant to a federal statute which was enacted after the Civil War and was designed to protect the civil liberties of all persons in the United States of America. I have filed over one hundred cases against police officers and departments for wrongful death and serious injuries based on officer misconduct.Incidents involving police brutality are complicated situations that require a clear understanding of the law and the facts. We know that many police officers and law enforcement personnel do the best job that they can and confront dangerous people sometimes on a daily basis. But there are police officers who take the law into their own hands and are violent and abusive. If you have been wrongfully violated by a police officer please call me. They do not have the right to use excessive force, they do not have the right to threaten you and they do not have the right to keep you in custody for longer than the law provides. If you or your family members or friends have been seriously injured in a police interaction please call me. If you know somebody who was killed as a result of excessive force for example a wrongful shooting or other violent action by a police officer in which they did not have cause then please call a police misconduct attorney who will guide you with the litigation process. Do Police Officers Have the Right to Use Deadly Force? They do on the condition that they have a reasonable belief that deadly force or serious bodily injury will be used against them. If somebody is running away from the police they do not have the right to shoot that person in the back. However, if somebody has a gun and refuses to surrender then they have the right to take reasonable steps to protect themselves and others from deadly force. If you are stopped by a police officer please follow this advice. It is important to always be polite and respectful, niceness usually pays off. Do not use foul language, do not be aggressive with your body language and do not argue. If you feel that the officer has done something improper ask for his badge number and his name and if you cannot get that information write down the license plate of the vehicle or motorcycle he is operating. If you are being arrested and you feel that the arrest is invalid then do not resist that arrest. You have a right to pursue a false arrest claim in court at a later time but resisting, arguing and defying a police officer will only lead to more serious consequences. If you have had an interaction with law enforcement that you believe was improper please call a police misconduct attorney. As a rule, police officers cannot use deadly force except in the most dire of circumstances such as in Immediate Defense of Life or IDOL. For this defense to apply, the officer must have reasonable grounds to believe that he is facing imminent death or serious bodily harm. The other person must have a deadly weapon to justify the killing. When a knife is involved, the distance between the person holding the knife and the police officer must be so close that the officer reasonably believes that it could be a deadly situation. Not all incidents of police brutality are death cases. Police brutality may also involve excessive force from the use of fists, a taser, baton, or handcuffs. As a rule, an officer is allowed to arrest a person when he has a reasonable belief that the person being arrested has committed a crime, is committing a crime, or is about to commit a crime. If an arrest is made without probable cause and the police handcuffs you, you may be entitled to compensation for use of excessive force or police brutality. A person who is involved in an incident of police brutality may suffer physical injuries such as broken bones, a head injury, soft tissue injury, or death. Due to the significant time, effort, and resources required to pursue a case of police misconduct, a competent civil rights police misconduct attorney first looks for serious injury before filing a lawsuit and litigating a case. Police brutality basically encompasses all aspects of excessive force and excessive use of authority. Civil rights lawyer Peter Goldstein has been practicing criminal defense for many years. He represented clients in juvenile cases where a judge decides the case in jury trials. From experience, Peter Goldstein has seen how judges can decide cases based on the testimony of a police officer versus that of a young juvenile or adult. Without the judge’s or jury’s deep analysis of a case, a police officer can get away with unethical and unlawful police practices by fabricating the facts. Our firm’s development of a practice that includes police misconduct was prompted by our desire to seek justice for any victim of police brutality. Some police officers take advantage of their authority to secure favors from those with whom they come in contact. Those forms of coercion and exploitation for the police officer’s benefit are not allowed. These and other cases where law enforcement officers misuse their authority and injure a person demonstrate the need for a police misconduct attorney. Bringing a lawsuit against the police can be a challenge for the average lawyer who has no knowledge or experience in police misconduct cases. Anyone who attempts to pursue a claim against a police officer will encounter many procedural obstacles and defenses which are only available to the police, such as qualified immunity. Through qualified immunity, an officer has the right to ask the judge to rule that his conduct was lawful. This would be based on the fact that the officer’s actions did not rise to the level of a constitutional violation, or that a reasonable police officer in his position would not consider that his actions were unlawful. Such cases are highly complicated involving substantive laws and procedural rules that an experienced attorney will be in the best position to evaluate. Law Office of Peter Goldstein fought a misconduct case for 11 years in order for the victims to obtain justice. The case involved a correctional officer who sexually abused wards in a youth correctional facility. The facility was aware of the guard’s sexual misconduct but turned a blind eye. We fought the case for 11 years and on November 2, 20l5, we prevailed. Others may have given up after all that time. 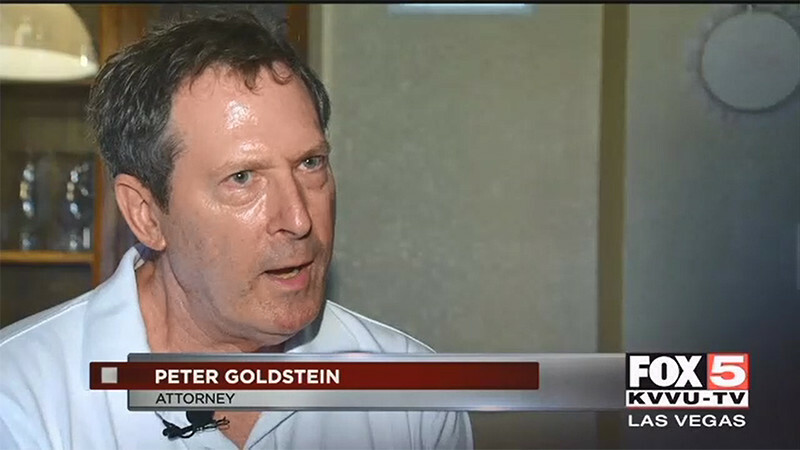 On another scale, Peter Goldstein as a personal injury attorney which specialize in police misconduct or police brutality also handled a Las Vegas case involving a police officer who threw a jailed person to the ground without justification. The case was settled without litigation. Another case involved a person who was injured by a county sheriff while he was incarcerated. That case took a long time to settle due to the ‘code of silence’ among police officers who back each other up when excessive force is used. Our perseverance paid off and the case was settled for a significant amount of money. Not all cases have video evidence, and some cases are more challenging than others. If a case is not supported by video evidence or witnesses, we may be able to identify other types of evidence which can support your version of the facts. For us, winning a challenging case by obtaining compensation for our client is very satisfying. Police brutality and police misconduct cases are difficult and challenging. The Law Office of Peter Goldstein is prepared to take on difficult cases and to fight regardless of the obstacles and challenges, and to persist no matter how long it will take to obtain fair compensation for our clients. Contact our experienced police misconduct attorney at (702) 474-6400.